"We had a great day with Inga and a fellow hiker from Australia, a perfect sunny spring day and we couldn't have been more pleased. Yes, Inga is a knowledgeable and wonderful guide, but more than that, she really listened to what was of greatest interest to us and tailored her plan for the day to make sure we got the best chance to see those things - stone circles and other Bronze age monuments, moor landscapes, tors and the wonderful wild horses with foals. It was a beautiful hike we'll never forget. We highly recommend Inga. " "In early May I spent the day walking with Inga on Dartmoor. Inga was really knowledgable about the area and provided heaps of information about the history and geology. I was able to enjoy the beauty and history of the area that I don't think would be possible in a big group. Particularly enjoyed lunch with Dartmoor ponies, hearing the cuckoos, and the beauty of Dartmoor. Thanks Inga for a lovely day." "We had a great day of touring on e-bikes around Dartmoor with Inge. She had great knowledge of the history and geology of the area and selected a good circular route to suit our interests. It was our first time on e-bikes and they were easy to use and allowed us to see a greater area of the park, with some short hikes included to see even more historical and geological sites. 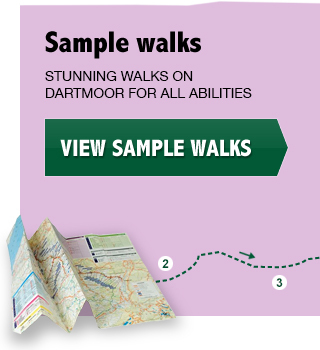 I highly recommend Inge and Dartmoor Walks & Rides This Way." "We had a wonderful 3 hour gentle and scenic walk accompanied by Inga. With her patience, insight and knowledge of the moors we had one of the most memorable experiences of our trip. Thank you Inga!" "This was our family's first time to Dartmoor National Park. Taking an e-bike tour of the moors with Inga was an absolutely fantastic decision because if we had been left to our own devices, we probably would have gotten lost many times and missed out on important sights in Dartmoor. Inga was absolutely lovely - she worked into the tour the places that we wanted to visit (the Dartmoor ponies and Bellever Forest). She was also very encouraging and kind as it was my family's first time riding e-bikes after a long time. Most of all, she obviously knew the Dartmoor National Park like the back of her hand; ensuring that we got a lovely, scenic experience. Thank you so much Inga, for a lovely first time at the Dartmoor National Park. To anyone considering to come to Dartmoor National Park - I highly recommend Inga and Dartmoor Walks & Rides This Way for a scenic and unusual experience of the moors. " "My husband, 12-year-old daughter and I are city dwellers so we were bowled over by the beauty of Dartmoor national Park. Inga was amazing guide for our day long hike. She was thorough in planning the day with me. During the hike she made a tour as she spoke knowledgeably of everything from the plants, trees, and animals to the Bronze Age ruins to Sir Arthur Conan Doyle! She was kind and patient with my daughter and all of our questions. I would recommend Inga to anyone who wants to make the most of their visit to Dartmoor." "Inga was thoughtful and attentive in leading my husband and I through the amazing land of Dartmoor. She listened with careful attention to our preferences and desires, and we were absolutely delighted with her caring and leadership. It was a magical day, and we are already thinking about come back!" "We had 3 walks which each provided an introduction to the wide diversity that Dartmoor provides. This was an eye-opener to us. Whilst we saw what we thought was the Moor we also saw amazing streams, bubbling, sprouting in amazingly long waterfall fashion, ancient settlements, burial monuments over 5000 years etc etc. Their seemed to be no limit to Inga's knowledge about history, tales, geology, bird song, weather etc. etc. One very obvious skill is to provide diverse locations and not get lost despite the mist: we came across one tor almost just before we bumped into it - magical! The tale about the tinners hares was fascinating and then we saw it on a tile in the pub recommended. A brilliant 6 veg Sunday lunch for £18 for two. Around every corner or summit there was something new. Not having to worry about where we were meant we could enjoy what we saw and heard. Pip loves chasing birds so he would have no fun from March - July (has to be on the lead for the nesting birds), but we all had our expectations exceeded and look forward to some more walks in autumn and / or February. We saw lots of frogspawn and anyone walking this spring may see some tadpoles - hope so! " " I had a terrific half-day tour with Inga. I took the bus to Ashburton from Totnes, and she picked me up and we went to two different locations on Dartmoor – did a bit of walking, and a bit of driving. Inga is very friendly, knowledgeable, professional, and flexible. I think when you do tours for a living, it's really important to be flexible with the needs and personalities of the ones you're guiding. I really felt like I could never have done this on my own. Thanks!!" "We did a fantastic half-day walk from Hound Tor. Inga knew my husband & son were interested in Arthur Conan Doyle's Hound of the Baskervilles and she took us on a walk with this in mind. Luckily we had perfect weather, the walk covered high ground, tors, views, lovely creek crossings and lots of interesting Bronze age ruins. Inga provided lots of information and made our short visit to Dartmoor so much more enjoyable. Thanks Louise, john & Henry"
"Inge took my two sons, one son's girlfriend and me out for her cycle tour based on the Hound of the Baskervilles. She was very knowledgeable about Conan Doyle as well as the history and geography of the moor. She adjusted the trip to meet our needs (the younger members of the party are quite fit, though me less so!). We really enjoyed our time and I look forward to further trips by bike or on foot." "4 friends staying on Dartmoor for a few days we wanted a guided walk to maximise the experience and Inga was great. Very informative, interesting and set the pace to suit us. We saw some fabulous scenery and enjoyed the walk immensely. She also recommended some stops for us on the way home as well as other local must see's... "
"Thanks to Inga, it was a fantastic experience for us. No. It was much more than I expected. She was very kind, knowledgeable and warm. I took my 5-year-old kid, so I was worried about the length of the explore and hardness of the wild. Then Inga planned the right size of the tour for us. So just tell her what you want to do and see in the moor, please. She can make it! Thank you, Inga. I really appreciate you." "My friend and me had a full day walking tour (from 10 to 16 h) through Dartmoor. Our guide Inga Page was very helpful from the moment we made the request by e-mail and she told us which bus we had to take from Plymouth to Ashburton, where she took us to Dartmoor by car. She told us a lot about the history and the wildlife of Dartmoor, it was very interesting. We were lucky to have good weather, so we didn't need raintrousers (which she would have brought for us in case of rain). We were happy to have a guided tour because you can get lost there easily if you don't know the area. And with Inga as a guide it was a great day, very interesting, beautiful views and nice talks - we would recommend this tour! " "thank you inga for a lovely full day's walk! I enjoyed your knowlegde about the area, the history, the tales and animals! " "Inga is a very knowledgeable, experienced guide who was so helpful to us, as we wanted to get out and walk on Dartmoor, but we didn't have a car to get around. She advised us on bus and train service to get to Ashburton (a lovely little town) and took us out twice. She was also able to suggest another very enjoyable walk we could do ourselves, out of Ivybridge. Inga is great fun, and was able to answer all our questions about local history, birds, flowers, Dartmoor landmarks...amazing source of fascinating details! I strongly recommend Dartmoor Walks and Rides this way! " "My husband and I had a wonderful time exploring Dartmoor National Park with Inga. By pure chance we had a wonderful sunny and clear day. Inga - thank you for sharing your knowledge of the area with us; it was a lovely day. I would recommend a walk with Inga to anyone interested!" "Inga organised a wonderful walk for an international group of visitors from the UK International Permaculture Convergence, via public transport from Totnes. The weather was perfect, but Inga's choice of locations would have been amazing regardless, and her knowledge of Dartmoor really complimented the walk. I'm a regular Dartmoor walker and learned so much from her! " "We spent a weekend in Plymouth mainly to go to Dartmoor. First we wanted to do it on our our because we didn't want to walk in bigger groups, but then we found Inga and had a private full-day tour (7-8 miles) around the area of Hound tor. We arrived around 11am at Ashburton by bus X38 from Plymouth, which is where Inga picked us up. Forecast was bad, and initially it rained, but Inga was fully prepared and gave us rain trousers. After an hour it stopped raining and we had a wonderful day. Some steeper hills were a bit exhausting (for us, not Inga! :) but the sights and views were worth it. I can fully recommend Inga as tour guide. 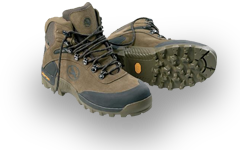 No matter what you like, Inga has the perfect walk (or ride) for it." "great day out had lots of great fresh air and great scenery . thank you inga "
"On a week's vacation in Torquay we were wondering how to get to know Dartmoore without having our car with us. The Riviera information office was not helpful in this, but we were lucky in finding Inga's leaflet in the Exeter Tourist Office. She fetched us from the bus in Ashburton and guided us for half a day through the essential part of Dartmoore. We heard great stories about the geology, archeology, plants and wildlife, the settlements and much more. Not to forget the fairy tales and local traditions... A great day out!" "We were wondering how to get to Dartmoor from Exeter and found Inga`s flyer by coincidence. That was great luck! Inga is a wonderful guide and the time we spend in Dartmoor could not have been better!! We`ll come back for sure and are looking forward to try other routes with Inga! :)"
"Lovely walk around Dartmoor with Inga and my guests, seeing ruined farms, old tin mines, a secret potato cave, the largest standing stone on Dartmoor and a tor that can see lots more tors! A great day out." "It's a privilege to live in this part of the world anyway, but even more so to have the opportunity to deepen my understanding and appreciation of the landscape with Inga's gentle and well informed guidance. I've seen and learnt more of Dartmoor in the last year or so than the previous eight!" "Inga is a rare species indeed. She's both organised and relaxed, which makes for a walking or cycling experience where you see, do and learn lots but have fun along the way too! An extremely likeable person, Inga is a font of knowledge and knows Dartmoor well. She takes into account the changeable weather on Dartmoor too and you can be reassured that you're in safe hands. I've gone on many expeditions with Inga at the helm and they've always been highly pleasurable, informative and energising encounters." "I always think I know Dartmoor pretty well, but walks with Inge routinely introduce new routes and new information, even when we move through familiar areas. There is also the prompt to go further afield and take advantage of car-sharing. As a leader she combines perfectly preparation, order and informality, and I appreciate the uncomplicated way the programme is communicated." "Thank you Inga for this nice walk through dartmoor ! Gestern waren wir noch etwas ratlos, wie wir eine Wanderung durch das Dartmoor gestalten sollten, haben glücklicherweise über das Internet Ihre Homepage gefunden und einen Termin für heute finden können. Wir hatten mit Ihnen eine wunderbare Wanderung, Sie konnten uns so viel zeigen und berichten (und das in perfektem Deutsch). Alleine wäre uns viel verborgen geblieben ! Absolut empfehlenswert !" "Well what can I say....Inga and her guided walks have now become a highlight for all my groups (mainly German which is great because Inga speaks it fluently!) The way she speaks to the students is just amazing....clearly and with such passion...which is a huge plus with the German teachers !! Well done Inga and roll on 2015 !!!! " "Thank you, Inga - wir haben mit Ihnen eine wunderschöne und interessante Wanderung erlebt, von der auch die Kinder immer noch begeistert sprechen! " "I have been doing the same few walks on Dartmoor for years, and really wanted to know about some other walks. I am not someone who would go out and buy a map and find my own way around, so I absolutely loved being led by Inga - I felt I could totally relax and enjoy the scenery, gain a wealth of local knowledge about my surroundings, and meet some new people into the bargain. I felt in very good hands, and feel excited about doing more walks with Inga in the future. Thank you so much! " "We’ve enjoyed a 6 hours and a 3 hours walk with Inga. The routes Inga carefully planned for us were wonderful and showed how much variety Dartmoor offers. On the walks we experienced many highlights like the old bronze age settlement Grimspound, fields of blooming bluebells and we even detected wild dartmoor ponies with foals. I It was very interesting to listen to the information Inga provided about the area and its history - even in German which Inga speaks perfectly well. The hikes were definitely one of the highlights of our stay in Devon. Thank you so much, Inga, you are a great guide!" "Last week Inga guided my wife and I on a walk of Scorhill and Shovel Down. It was a fantastic day. Inga is very knowledgeable about Dartmoor and a good communicator. We visited Dartmoor’s finest stone circle (Scorhill), some Bronze Age stone rows and a menhir/longstone. We explored some beautiful tors with spectacular views and ended at Kestor Rock and the Iron Age Round Pound. Inga love and knowledge of Dartmoor were a delight for us. We recommend her unreservedly. " "Inge helped plan our pilgrimage route on Dartmoor, and navigated us on 4 of the 5 days. She also recommended places to stay which turned out well. The routes she chose were very beautiful and cleverly chosen, and everyone greatly enjoyed the walks. We never got lost!" "I am a Head Teacher at a local primary school and I wanted a team building day for my staff.I contacted Dartmoor Walks who took us out along the most beautiful walk. We had our own very experienced guide who talked about the history and told us stories of the places that we visited along the way.It was fantastic for staff morale to feel treated by such an adventure and it was also incredible what we talked about when we were all relaxed and in nature:Policies, assessment, individual children, vision for the school,class topics and trips were just a few!We all got to know each other a little bit better and I would recommend anyone taking their team out with this professional and interesting company. " "I cant think of walking on Dartmoor now without you Inge! You know the best walks, the most magnificent views and all the hidden history of it that makes walking with you even more special! Coming up suddenly on stone circles and rows when you least expect them and hearing about what they were 3000 years ago makes a magical walk even more wonderful if that were at all possible! Thank you Inge! Dartmoor is the richer for having you revealing all its delights to us." "We all managed to squeeze into my car, including the dog! We had a really good time - walking, chatting, enjoying the scenery (this included Bellever Tor in a bit of a rainstorm.). We had a couple of detours and got absolutely soaked but still managed a smile on our faces and considered all the cobwebs duly swept out of our heads. We always have a great time, walks and company are always excellent. Inga keeps us on track and always has great stories about the area. Excellent and really recommended to anyone who likes to walk (wet or dry!)" "It was a walk to fill the senses. Noise of the river, vibrant green of the mosses, a canopy of trees, we even managed a little picnic by a stone bridge - in January! Near Manaton, Becka Falls and Hisley Wood "
"A lovely walk with varied landscapes; we walked through woodlands, across open moor and into a river valley for a picnic. We were a small group who wanted to talk to each other as well as explore the local flora and fauna. This walk was ideal for our purpose and we seemed to cover a lot of ground at what seemed like a gentle stroll! I would do it again." "This was one of the most fascinating and interesting walks that I have ever undertaken as she has an encyclopaedic knowledge of the moor's history from the bronze age right up to the 21st century. Inga explained how and where tin had been extracted by various methods over the last few thousand years and brought everywhere alive with numerous anecdotes. We were left with a new understanding that no guide book could equal and were sorry that our walk had to end. Everyone who walks on the moors should at least once try a walk with Inga as you will never look again at the landscape in the same way "
"It was such a wonderful day on Dartmoor today...I can't believe I'm sitting on a platform waiting for the London train...already a world away. Thank you for the wealth of information you shared about the history of the area and the ancient stones and landscape we saw. Your enthusiasm is infectious, I only wish I could do it all again next weekend! " "I have worked with Inga for more than 15 years and I am delighted to know that she is leading walks on Dartmoor. Inge’s planning, organisation and execution of any project is immaculate and her love of nature in general and of Dartmoor in particular will make her a perfect guide for walks. Inge is wonderful company and a knowledgeable narrator." "Thank you so much for taking us on a delightful walk on Dartmoor on Saturday. We both enjoyed it immensely and, after coming to the Dartmoor area for over 20 years, felt we had really experienced a very different and fascinating area of the Moor and learned about the rich tapestry of its past. You provided just the right amount of historical - including social history - information about the area around Hound Tor, and gave us a real sense of what life was like for the communities living in the stone dwellings during the Bronze Age and the Middle Ages, and for the miners mining granite that was transported on the old tracks there to the coast and ended up in such grand buildings as Buckingham Palace! An added bonus for us was hearing about your interesting life and how you came to be leading walks on Dartmoor, and hearing about your exciting new state-of-the-art electric bikes, which will enable people to explore even more of Dartmoor. We will definitely be booking you again next Easter for another guided walk to further expand our knowledge and enjoyment of Dartmoor." "We had such a wonderful exploration of Dartmoor last weekend - thank you Inga for suggesting just the right length and pace to suit our group and for being such a knowledgeable and interesting guide. Is there anything you don't know about Dartmoor?! Despite the rain your easy-going attitude meant that the morning was fun and relaxed - and what a joy not to have to bring a map or guide book, just to enjoy the walk and talk. Look forward to exploring another area of the moor with you soon." Tell others about your experience using the form below.